The Cyber Café Scholarship is intended to assist graduating seniors who have a 2.0 to 3.0 grade point average and an interest in pursuing a post-secondary degree. This spring, two or three $1,500 scholarships will be awarded to qualified graduating seniors. Awarded scholarships will be renewable upon completion of a year of study for up to four years. Applicants will be screened through the school’s scholarship committee with the final decision resting with representatives of the Cyber Café Board. WDC Supt. Lee Westrum expressed his appreciation to the Cyber Cafe Board for this generous donation. “This scholarship embodies the spirit of the Cyber Cafe and will help students that don't normally receive many scholarships," said Westrum. The $39,000 endowment is from the dissolution of the Cyber Cafe whose mission was to provide a safe and chemical-free environment for local and area youth. 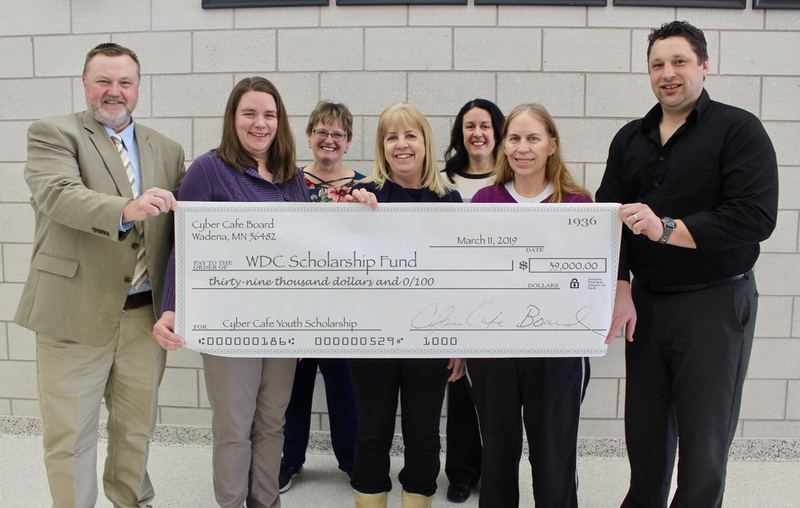 "As a board, we wanted to share this scholarship opportunity with the same students who visited the Cyber Cafe during their school years," said Cindi McCullough, Cyber Cafe board member.